Read the open letter to Florida's Health Department officials below. Record your message today, and Erin Brockovich may amplify your voice by sharing your video on social media. Government Health Agencies exist to serve the public and they are the first line of defense for communities facing a public health or environmental crisis; therefore, public health officials should be easy to reach and responsive to the taxpaying public. County Health Departments, State Health Departments, the United States Department of Health & Human Services and the Centers for Disease Control are here to serve and protect the public health. But I hear from the thousands of people across the country each month that email me saying that their attempts to reach these public health agencies to report environmental and public health issues often go unanswered or unreturned. Recently, I’ve been receiving hundreds of emails from across the state of Florida, where people are frantically attempting to report health symptoms to the Florida Department of Health they suspect are related to the crisis of Red Tide and toxic Blue-Green Algae blooms that have sickened countless people and killed off apocalyptic levels of sea life. This is an unacceptable and alarming failure by the Florida Department of Health during a major public health and environmental crisis, made worse by the fact that state officials are banned from even using the words climate change or global warming – which are directly related to Red Tide and Blue-Green Algae. Unanswered calls by the Florida Department of Health means that front line public health officials may be in the dark about emerging contamination issues that threaten the public. If they won’t even answer the phone and respond to inquiries they cannot keep the public safe and issue pertinent warnings of contaminated water and other public health crises. This is where I come in as a known public health and environmental advocate. Out of sheer frustration working with a broken system, people in Florida and across the country unable to reach their local, state or federal officials, will report their issues to me as proxy. This problem in Florida is particularly acute and the Floridians that are reaching out to me deserve answers. These are people that are sick or suffer from mysterious symptoms. Recently, I toured communities throughout Florida in the wake of the continuing massive inland toxic Blue-Green Algae Blooms, the coastal Red Tides which release toxins that cause respiratory irritation and disease in humans. 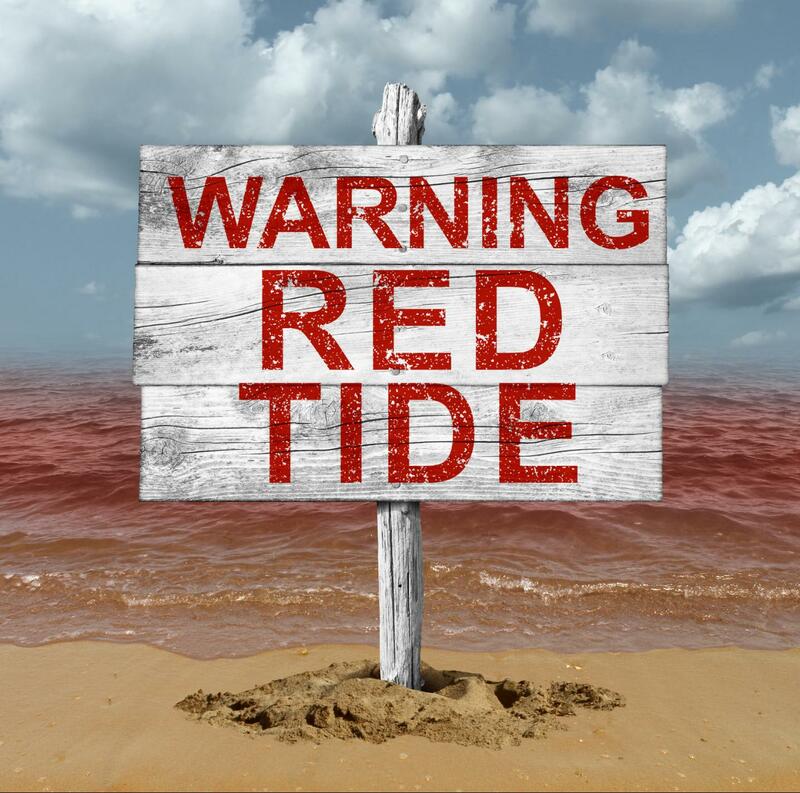 For people with severe or chronic respiratory conditions, such as asthma, Red Tide can cause serious illnesses. Red Ride toxins also accumulate in molluscan filter-feeders such as oysters and clams, which can lead to neurotoxic shellfish poisoning in people who consume contaminated shellfish. I also heard from people in community after community about the high levels of toxic disinfection byproducts increasingly found in many community drinking water systems in Florida and the extremely high levels of toxic PFA compounds that contaminate Florida’s gorgeous and vital coastline adding to the dangerous health issues associated with consumption of fish, oysters and clams. Upon returning home from Florida, my message box was over flowing. People worn-out trying to contact their local , state and federal health agencies without result. People suffering, nurses, doctors, elected officials, community leaders even health department officials had written to me. That’s why today I am asking anyone in the state of Florida trying to reach the Florida Department of Health to keep reporting to me and I encourage everyone to continue reporting to www.communityhealthbook.com so we can track these issues and try to help. But I’m going a step further. I’m going to the use power of social media to help put pressure on the Florida government to help. Send me a quick video message through the Erin Brockovich Action Center with your name and the issue you are trying to report to the Florida Department of Health. I will post each and every one on Facebook and Twitter and together we will ratchet up the public outrage over their unresponsiveness and we will get you the answers you deserve – and pay for with your tax dollars.